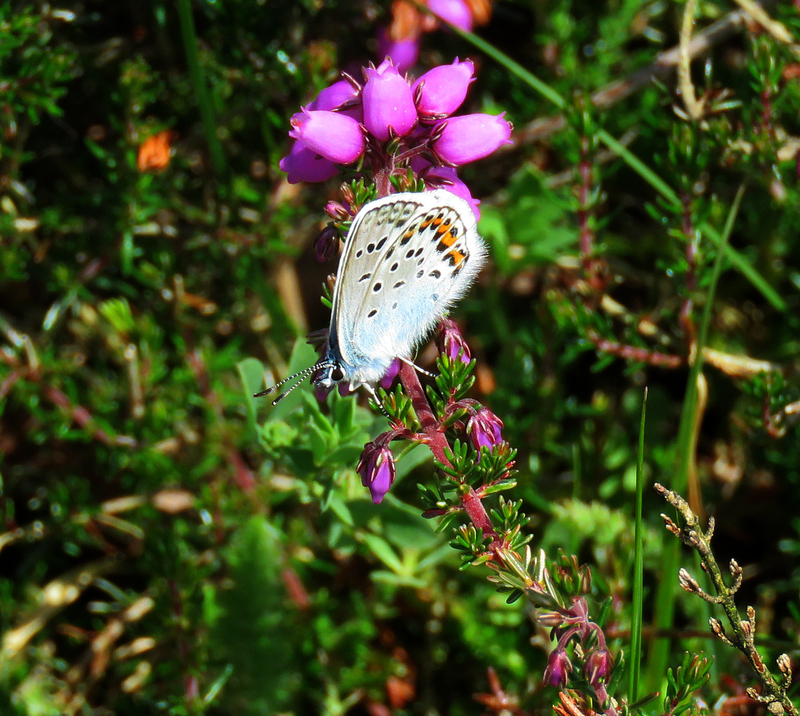 Safeguarding the Silver-studded Blue butterfly: restoration of its heathland habitat at Prees Heath Common Reserve, Shropshire eleven years after kick-off. Prees Heath Common in Shropshire has supported the last population of the butterfly in the English Midlands since the 1970s on small areas of relict heathland. Butterfly Conservation purchased part of the Common to safeguard this population and to undertake re-creation of lowland heathland in an attempt to ensure the butterfly’s persistence due to a very increased area of suitable habitat for the population. 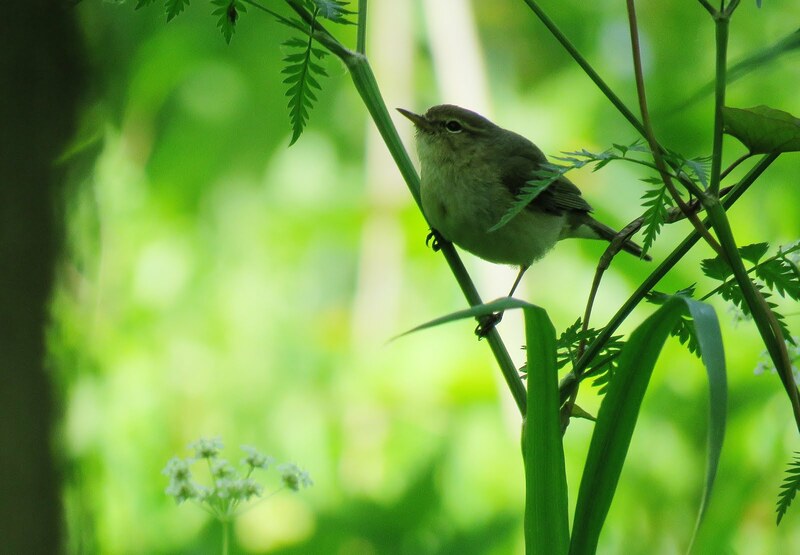 Dr Phil Putwain originally advised Butterfly Conservation on the method for creation of heathland 5 areas previously used for arable agriculture. The method included deep ploughing for soil profile inversion to 900mm and incorporation of pelletised sulphur to reduce substrate pH from around 7.0 to 4.0. 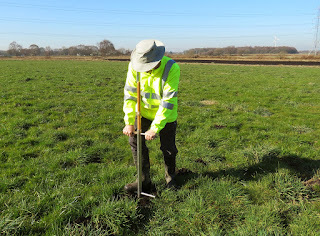 It was hoped the acid soil pH would persist for many years. The sulphur was incorporated in summer 2007. Each year since then numerous soil samples have been tested annually for pH. Phil Putwain tested samples collected in mid-June. 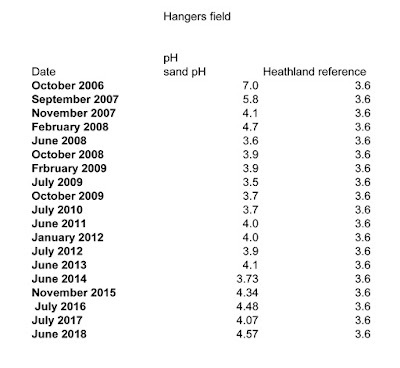 Soil pH remains low at 4.5 eleven years later. 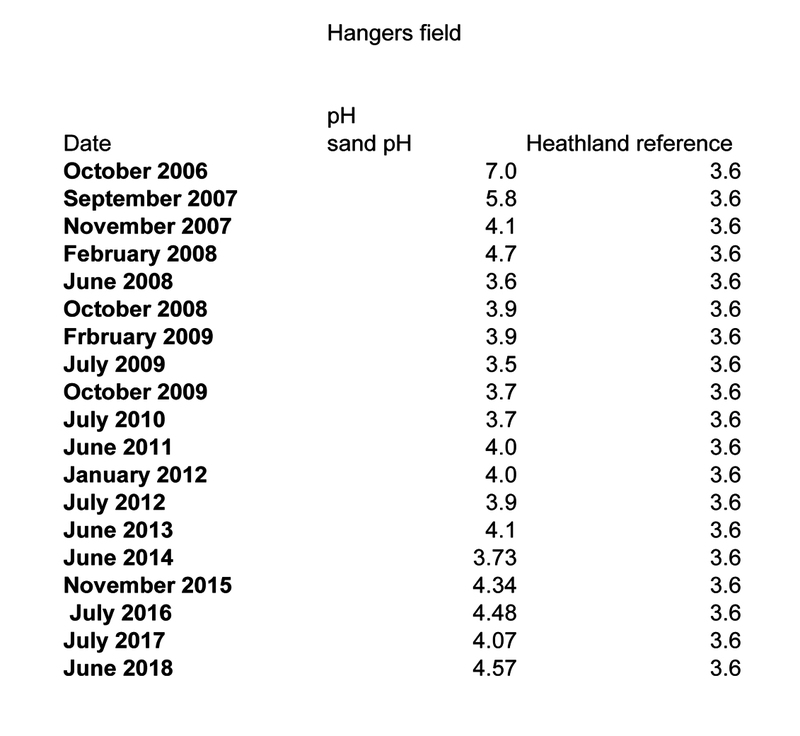 The graph below shows the timeline of pH values. 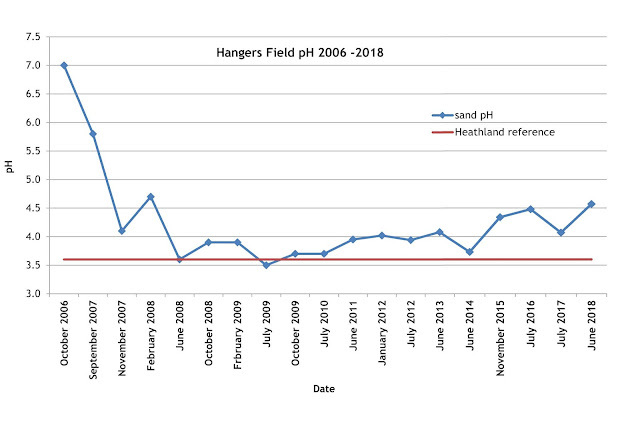 To date pH remains suitable for heathland habitat.